I’m new to The Slurping Life, but I love the idea of sharing your SOOC shots so I had to become a participant. For this week’s SOOC Saturday, I thought I’d share a photograph I took of my husband. 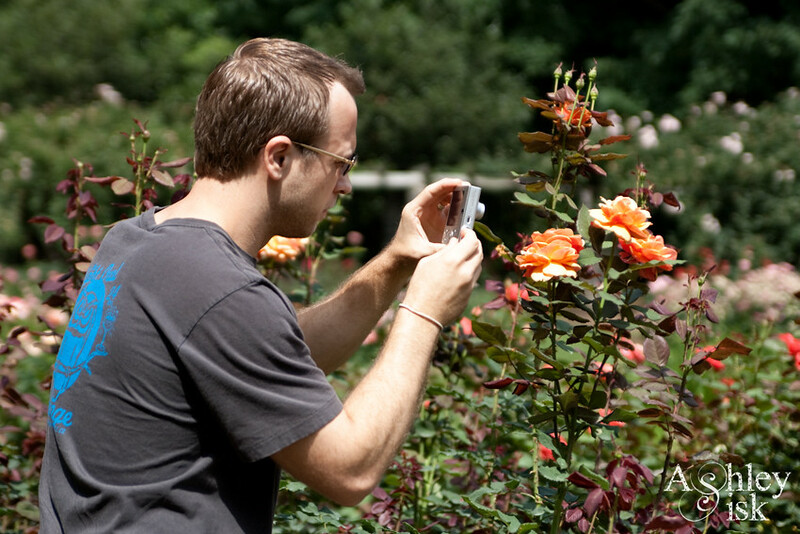 I’m by no means a professional…therefore, I don’t really need a second shooter, but my husband and I went out last Saturday to capture some photos at the Rose Garden. I was shooting with my Canon Rebel XSi and my husband was shooting with my old Canon Powershot SD1000. During our honeymoon, he would often steal this little camera away from me to get a few shots of his own. He doesn’t always have the “best” shots, but who am I to judge. Anyways, when I walked across the garden and saw how focused he was on these roses, I had to snap (and laugh). He’s so cute when he concentrates! ISO 100, 60mm, f/2.8, 1/1250 sec.